Two days ago, Vijay Sethupathy has started shooting for his next film Karuppan, directed by Panneerselvam of Renigunta fame. Said to be a rural drama with enough intensity and action, the film would be shot in a straight schedule of 70 days. 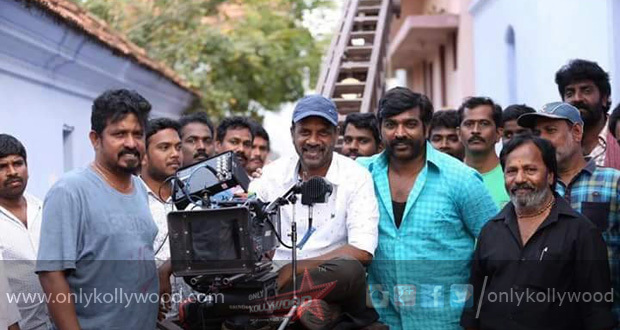 Vijay Sethupathy has donned a thick handlebar moustache for the film, expected to have Lakshmi Menon as the heroine. The team will be officially putting out the title of the film with a first look very soon. Karuppan is produced by AM Ratnam under the banner ‘Sri Sai Raam Creations’. Arya-Ameer’s Santhana Devan is about to go on floors!